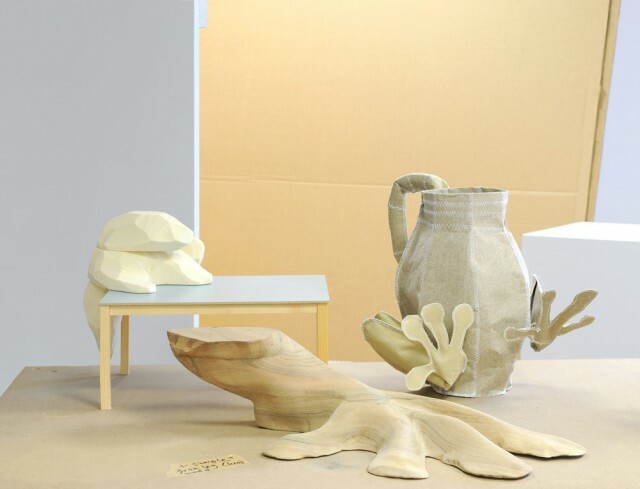 In many works Jongerius deals with the relationship between users and their products. 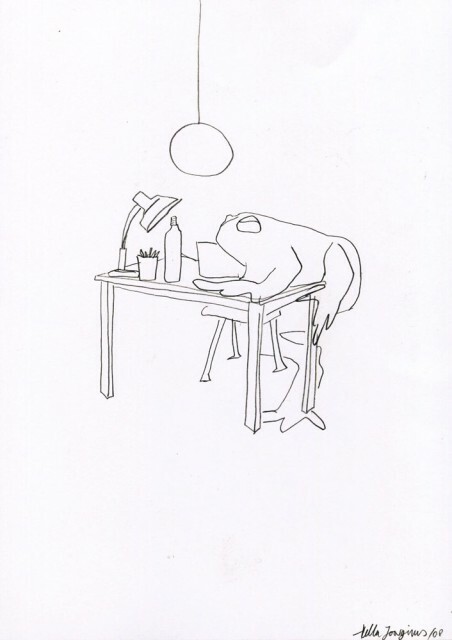 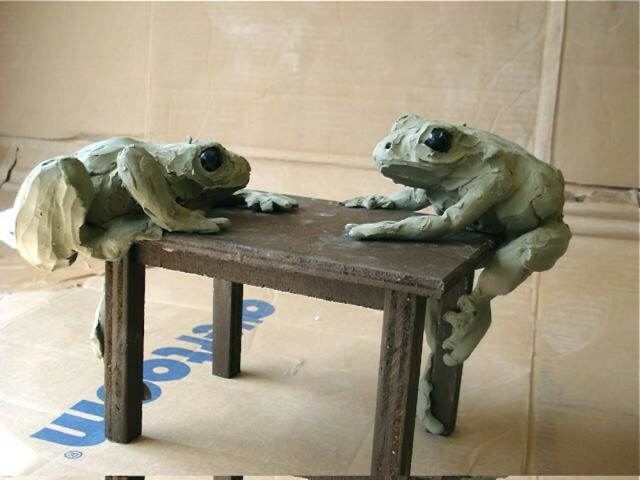 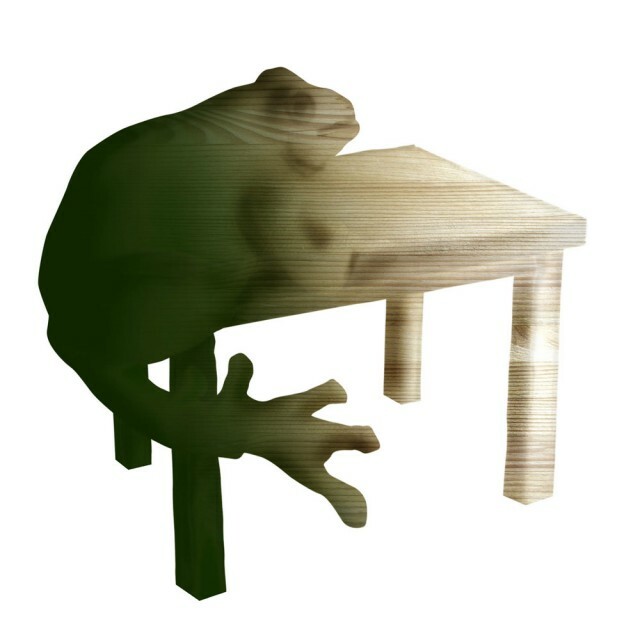 In Frog Table the frog functions as an intermediary. 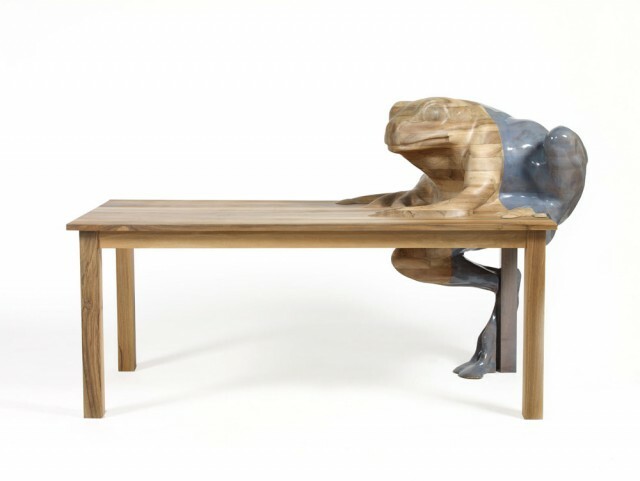 The decoration has become an almost autonomous 3D figure, who will not be ignored at your table. 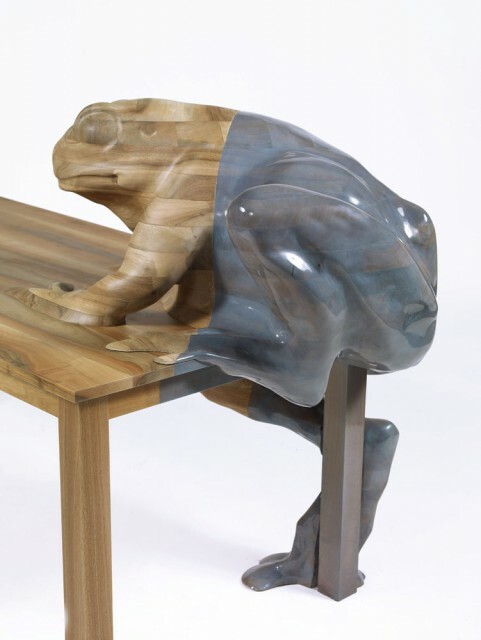 Frog Table plays with the imagination of the user; at the same time the design reveals an outspoken view of the power of decoration in design.